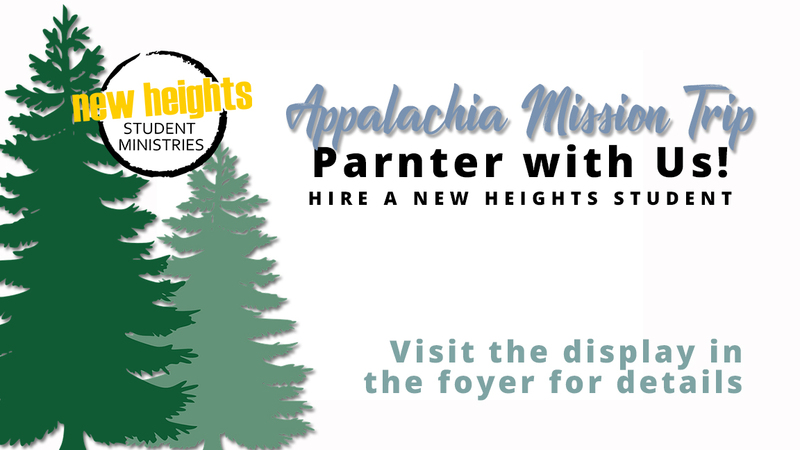 A group of our New Heights teens are heading to Appalachia, July 7-13 and are looking for ways to earn money towards their portion of the cost. Have a job that needs to be done (gardening, car washing, shopping, yard work, etc)? Visit the display in the foyer to see how you can be part of this adventure. By completing a “job form” we can partner you with a teen (or a group of them) to get your job completed. Payment must be made directly to the student(s) for work done.